Join NYC DOT and UPROSE for a community event on transportation in Sunset Park. This is part of the Upland Connectors Project, a community-based planning process to improve connections between Sunset Park’s residential area and the working waterfront. Join NYC DOT and UPROSE for a community walk through in Sunset Park. We will be showing an educational video about streets in the neighborhood and taking a walking tour. 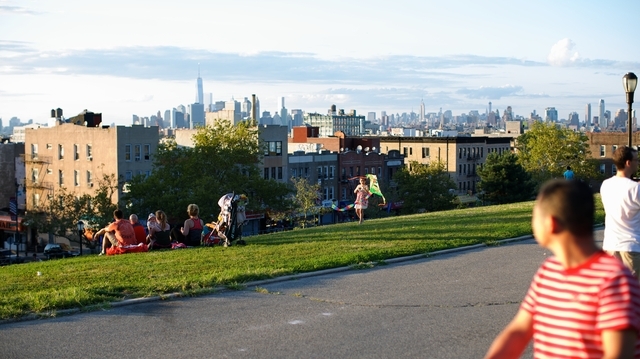 Join UPROSE and NYC DOT for a neighborhood walk-through in Sunset Park. We will be showing an educational video about streets in the neighborhood then taking a walking tour. Join NYC DOT and UPROSE for a meeting to kick off a community-based process to improve corridors between Sunset Park's residential core and the planned Brooklyn Waterfront Greenway, Bush Terminal Park, and industrial business on the waterfront.